Beyond our time, beyond our universe...there is a planet besieged by alien invaders, where a young king must rescue his love from the clutches of the Beast. Or risk the death of his world. Journey into a mystical time and place that belongs to neither the past nor the present, where extraordinary creatures of myth work their incredible magic, and where a horrific, omnipotent Beast is the ruler. This is the planet of Krull! Prince Colwyn (Ken Marshall, Star Trek: Deep Space Nine) sets out on a daring mission to rescue his young bride, Lyssa (Lysette Anthony, Look Who's Talking Now)who is held captive by the Beast. Slayers and alien beings under the command of the Beast oppose him at every turn Colwyn must first reach a faraway cavern to recover the legendary Glaive, a flying blade capable of phenomenal powers. 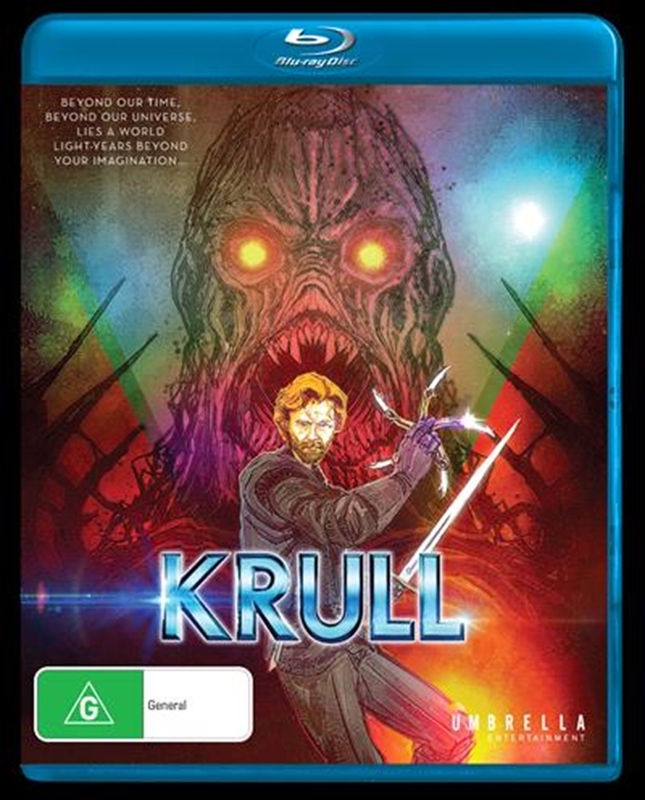 Also starring Freddie Jones (Dune), Francesca Annis (The Libertine) and Liam Neeson (The Dark Knight Rises)in one of his earliest screen roles, Krullis a spectacular fantasy adventure beyond the imagination.